It is a great truism that while you are sleeping someone else is training. Thus at Mind Sports South Africa's 31st SA National Championships (SAN), in the esports title of Mortal Kombat X, the tree received a good shaking, and the 'old guard' had to fight hard to maintain their positions of dominance. Even though the 'old guard' fought long and hard, the new talent rapidly rose through the ranks. 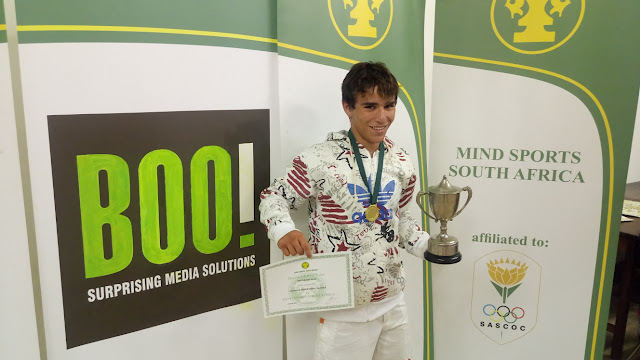 So it was that Pieter Oelefse (HTS Sasolburg) rose from being unranked at the beginning of the championship to be ranked as South Africa's number one ranked player at the end of MSSA's 31st SA National Championships. The achievement is quite spectacular, and it shows just what can be achieved.